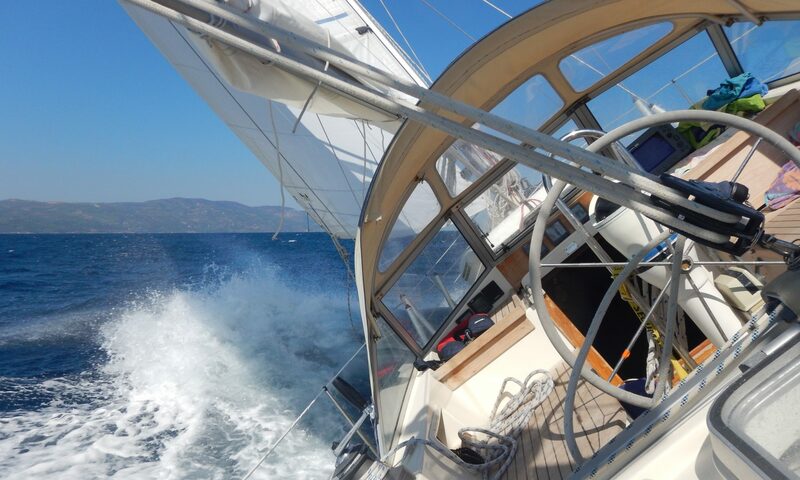 The Biscay crew left three days ago the Gibraltar crew joins this evening. I have used the time to do some cleanup of the boat , installing an anti-syphon / air vented loop in the emergency bilge pump outlet hose, welding the plastic air intake box of the engine and checking company emails and chat with some colleagues in order to get up to date on company issues and contribute if and where needed. 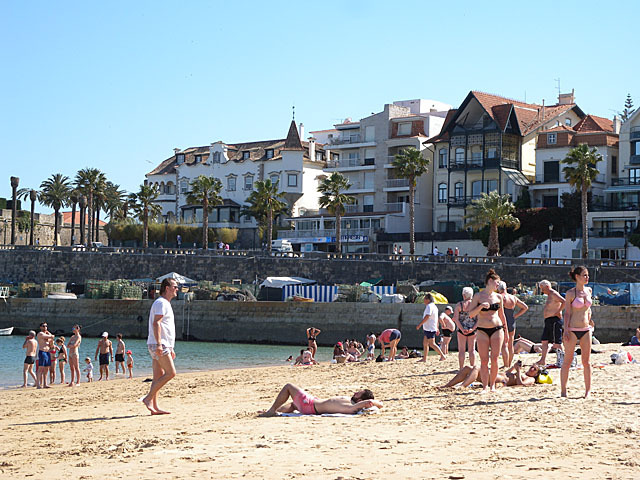 Since the weather is quite hot for the time of the year (more than 30C) I also went to the beach and took a refreshing bath in the Atlantic (water temperature 14C). The engine is also fixed again. The problem was just a faulty exhaust temperature sensor. 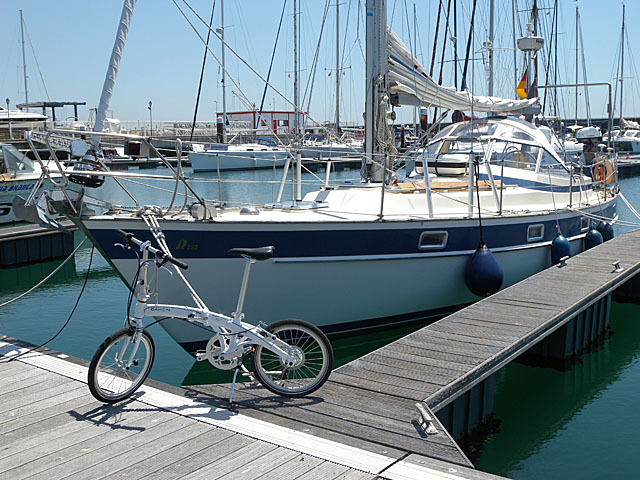 After all, it would have been easy to find out but finally I am glad Vetus has checked the engine’s temperature at various locations and all seems ok. The repair did not cost anything as it is still covered by warranty. 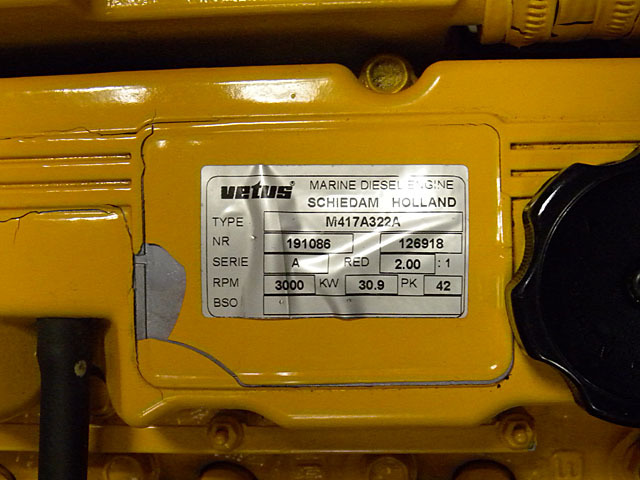 As it seems, the yellow paint applied and the label are not suitable for the 70-80C normal operating temperature of the engine. The paint breaks off and the label becomes unreadable. Two days ago, the Volvo Ocean Race fleet arrived in Lisbon. For those who don’t know the Volvo Ocean Race is a round the world regatta. Lisbon is the 1st port of call back in Europe. 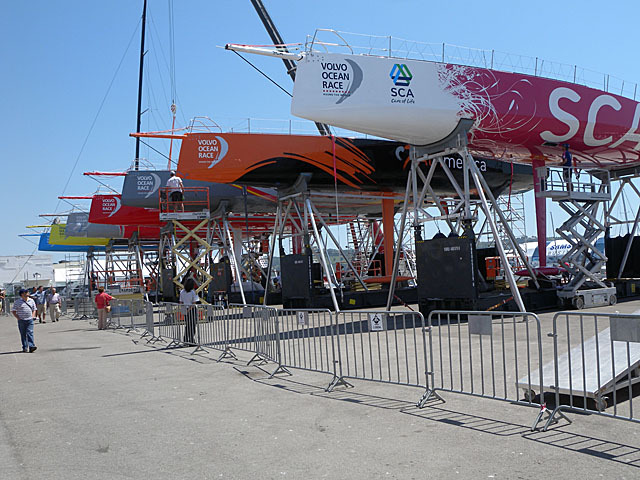 Visitors can have a look at the ocean racing machines on the VOR village. dann war das Problem mit dem Motor ja nicht so schwierig. Ich wünsche dir und der neuen Crew einen schönen Törn nach Gribraltar.